Mary Beth will discuss the rapid spread of ticks around the globe and their effect on untold multitudes in many countries. Pfeiffer’s book, Lyme: The First Epidemic of Climate Change, shows how humankind has contributed to this growing menace and how modern medicine has underestimated its danger. Sam’s Spoons Lyme Support & Education Foundation is partnering with Dickinson College’s Wellness Fair. Open to the public and free, the fair will include vendors in the Holland Union Building from 11:00 am to 4:00 pm. The panel discussion -- Tick Talk conversation – begins at 6:00 PM, followed by the critically acclaimed documentary, Under Our Skin. Panelists include Dr. Neil Spector, nationally recognized oncologist and author who nearly died from heart complications from Lyme Disease and later penned Gone in A Heartbeat; Mary Beth Pfeiffer, investigative journalist and author of Lyme: the First Epidemic of Climate Change; Dr. Chris Turnpaugh, local functional medicine and Lyme Literate practitioner; Jeff Stauffer, CIIO of TickTracker app, and special guest Stephen Smith, President and CEO of LL Bean and Dickinson class of 1992. 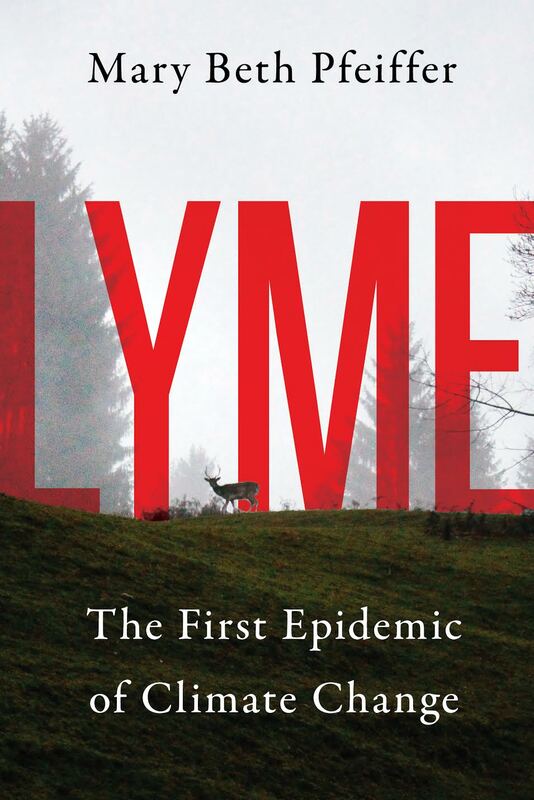 For the start of Lyme Disease Awareness Month, the Lyme Disease Resource Center will be hosting Mary Beth Pfeiffer, author of Lyme: The First Epidemic of Climate Change and an award-winning investigative journalist for three decades. Since 2012, Pfeiffer has become the leading U.S. investigative journalist on the growth of and controversies surrounding Lyme disease, a hidden menace that, she argues, has been fostered by a warming world while being vastly underestimated and poorly managed by American medicine. For her Lyme reporting, Pfeiffer was honored with a half-dozen awards, including the prestigious Sigma Delta Chi award in 2013 from the Society for Professional Journalists, one of her two Sigma Delta Chi awards. Mohonk Mountain House is a world-class resort that understands the need to inform its guests about the threat of ticks. Support it by staying there – and hearing Mary Beth Pfeiffer speak about the environmental and medical quandaries of ticks and their illnesses. There’s a spring special too! Golden Notebook, 29 Tinker Street, Woodstock, N.Y.
Mary Beth will give her second talk on her book, Lyme: The First Epidemic of Climate Change, at Woodstock’s famed bookstore in the heart of this iconic Catskill Mountains village. Free and open to the public. More and more people are getting involved with Lyme disease in one way or another. Unfortunately, there is still a lot of ignorance about the symptoms, treatment, prevention and consequences. The Netherlands Lyme Association, called Lymevereniging, is committed to change this and to disseminate as much current information as possible. On Thursday 23 May at 5 pm we will receive Mary Beth Pfeiffer, the American investigative journalist and author of the book Lyme, the first epidemic of climate change. In her research, she makes the connection between global warming and the increasingly rapid spread of Lyme disease. You are very welcome to come and listen to an important story. For information, call (631) 283-0774 x 523. Join Mary Beth for a talk on the rise of ticks in eastern Long Island – where lone star ticks are causing hundreds of meat allergies and blacklegged ticks carry a host of serious pathogens. Mary Beth will speak on the growing toll in New York State of ticks and the diseases they carry. Lyme disease cases there grew 80% in 15 years to a recorded 9,800 in 2017 – or nearly 100,000 when undercounting is considered. This all-day fair will feature an afternoon panel on Lyme disease including foremost experts on the treatment, diagnostic and environmental quandaries posed by tick-borne disease. Presenting will be Microbiologist Holly Ahern of SUNY Adirondack; author Mary Beth Pfeiffer of Lyme: The First Epidemic of Climate; Dr. Steven Bock, a leading practitioner; and Robert Giguere of IGeneX Inc., a tick-borne diagnostics laboratory. Mary Beth will talk about the rise of ticks and disease in Central New York, where Lyme disease cases grew by more than 300% since 2008 and half of adult ticks are infected with Borrelia burgdorferi. As in other places, residents must clear significant hurdles to diagnosis and treatment. Thank you for your interest in Lyme: The First Epidemic of Climate Change. To contact the author with comments or questions, submit the form below or write to her at marybethpf@aol.com.